I love this time of year! The air is crisp, the trees are gorgeous with their fall colors and I’m anticipating decorating for the holidays. There are a few household maintenance chores that are really good to remember. I always plan to do them when we ‘fall back’. 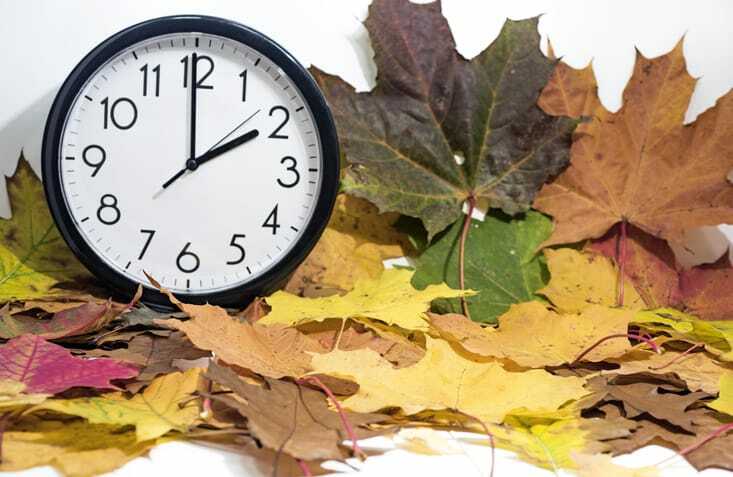 On Sunday, November 4th at 2:00 am the time officially reverts to Standard Time. I am not a night owl, so I’ll be changing my clocks before I go to bed on Saturday night. I’m happy we’re changing the clocks. This will mean that it will no longer be pitch black at 6:00 in the morning when I walk my dogs. Of course, it will also mean that it will get dark earlier in the evening, so I will need to adjust the time my outside lighting turns on. 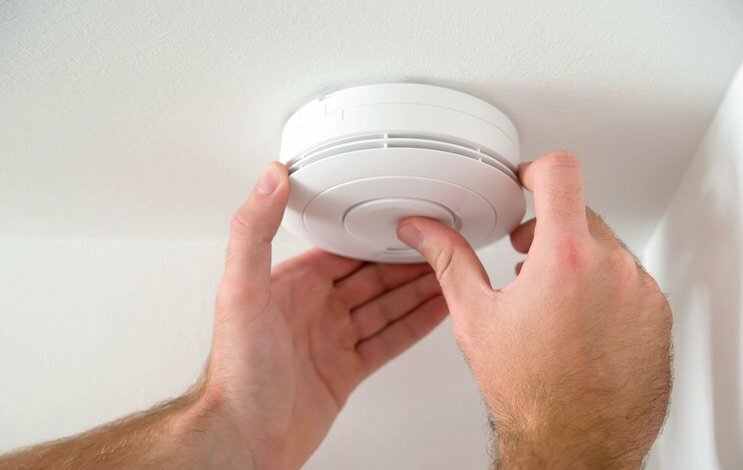 Changing the clocks whether I’m adjusting them forward in the spring or backward in the fall is the time when I also change the batteries in my smoke and carbon dioxide alarms. It’s a good idea to change these batteries twice a year so you can be sure the batteries are working. Peace of mind is a wonderful thing. 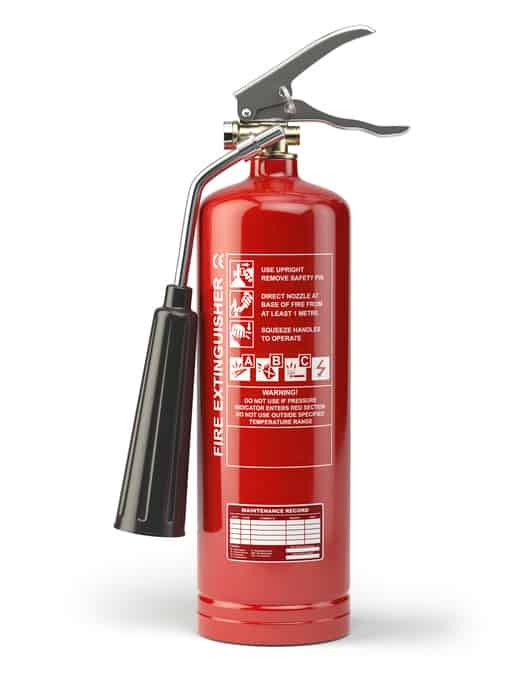 Now is a good time to also check the charge on your fire extinguishers. I have several fire extinguishers strategically placed around the house. One is in my kitchen, one upstairs near the bedrooms, and one on the lower level. Since I live in a town home it’s important to me to have a fire extinguisher on every floor of my house. Where are your fire extinguishers and when was the last time you checked them? Check with your local fire station to see if they can recharge your fire extinguisher. If you haven’t already, take the time to remove and clean the screens on your windows. Give them a good rinse off with the garden hose, let them dry and then put them away neatly. You’ll be so happy you took the time to do this when you go to install the screens next spring. It’s also a good time to change the filter on your furnace. They recommend changing these filters in the spring and the fall. Keep your gutters running smoothly and prevent ice dams by keeping them clear of debris. If you have covers on your gutters you still may want to get up on your roof (or hire someone to do this for you) to blow the leaves off your roof. This is particularly important if your roof has valleys or areas in which leaves or other debris (sticks and pinecones) can get lodged. Like to have a fire? Along with the crisp air comes a nice fire in the fireplace. I love to have a fire at home when the weather is chilly. When was the last time you had your chimney cleaned? 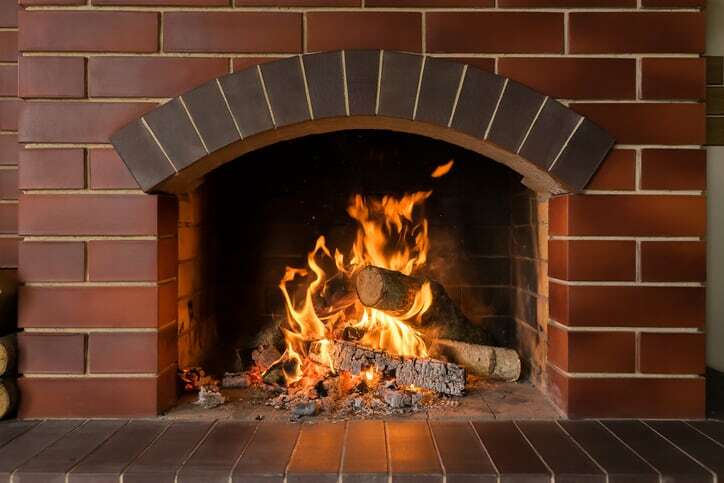 Be sure that it’s safe to have a fire in your fireplace by having your chimney swept once a year. If you have trouble keeping track of these and other household maintenance chores look at Homezada.com. This website can keep track of this for you. This is a cloud-based service so you can access your records from any computer. Homezada also has a household inventory application. This is a wonderful feature as you can upload pictures of your furniture, add the value, and even locate the furniture in your home. In the event of a disaster you can prove to an insurance agent exactly what was in your home. No matter which of these chores you decide you want to do, take the time to schedule them into your calendar. Make that appointment with yourself! Let me know if you have other chores that you typically schedule to do in the fall. I’d love to add them to my list! I love that gorgeous photo you chose to grace your post! What an incredible time of year with all of the changing colors. It’s a magical season. And…as you said, a great time to use as the cue to manage a few household things. Happy to report that we’ve done a few of the things on your list suggestions like resetting the clocks, refreshing the smoke alarm batteries, and clearing the gutters. What great tip about using HomeZada not just for inventory, but for home maintenance reminders.